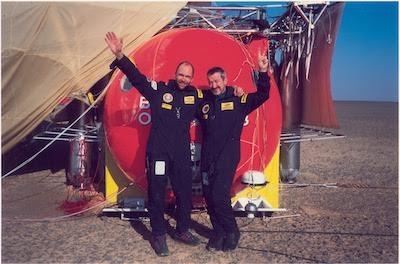 Twenty years ago, on March 21st 1999 at 6:00 GMT, Bertrand Piccard and Brian Jones successfully landed in the Egyptian desert, after traveling 24705.724 nautical miles in 19 days, 21 hours and 55 minutes, thus achieving the longest flight in the history of aviation for both distance and duration. The balloonists took off from Château-d’Oex, Switzerland, on March 1st 1999. Circumnavigating the globe in a balloon was considered as the final great adventure of the 20th Century. 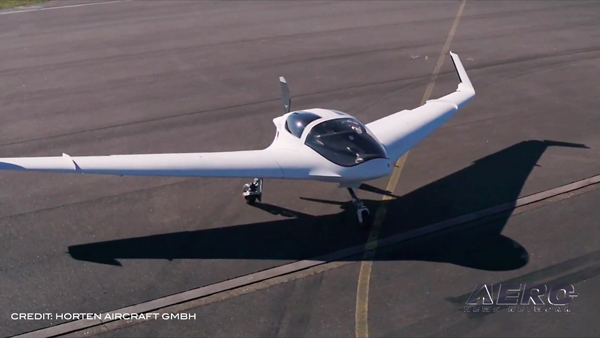 Several billionaires such as Richard Branson and Steve Fossett had made unsuccessful attempts. In total, 10 teams tried 21 times to reach this last Grail. Bertrand Piccard himself failed twice in 1997 and 1998 before attempting the third flight with Brian Jones. The Breitling Orbiter 3 was at the top of technology at the time. This is the first adventure Human Adventure that could be followed online via internet, but they still had a fax to communicate from the balloon. Brian and Bertrand were filming onboard. They were in constant communication with the control center in Geneva and were also able to send two pictures during the entire flight (because it took all the battery power to do so). Every day, the team would publish on the website the status of the flight as well as the weather forecast. It was the first time advanced and precise weather forecasting was available and used this way. And it was a key to the success of the team and the adventure. After successfully achieving the round-the-world, Bertrand declared that he felt that, all along this adventure, they were guided by an “invisible hand” helping them to catch the jet stream in Mexico after being deviated from their initial route and then to reach the African continent with only a very small amount of propane. The Solar Impulse Foundation is celebrating this adventure by making adventure, ballooning and aviation fans relive the last great adventure of the century as if it was today. They have selected and published archive footage to be shared with you each day as if Brian and Bertrand were currently in the air! You will be able to follow them live from the original website (here) which we are re-publishing today, and through social media (mainly instagram and twitter) and the hashtag #BreitlingOrbiter3. During the coming 20 the foundation is launching a contest, in collaboration with Breitling. In order to participate, you may share on your social media a memory and a picture from 1999, even better if it is something you remember from following Breitling Orbiter 3. You will then be asked to respond correctly to a few questions about this adventure on our website. The winner will be extracted among the people who responded correctly and will be rewarded with a Breitling time piece.